How would you survive if you lost your primary source of income? The US is (arguably) just starting to rebound from a really tough economy and job market in which we’ve seen more long-term unemployed people than ever before. In addition to the job market, an accident or illness could befall your family rending you unable to work. These are depressing situations to consider, but better to consider them before they happen than to be blindsided if they do. Creating a stripped-down emergency budget will help you prepare for possible income loss as well as help you appropriately size your emergency fund. It may save you from panicking. In this post I’ll outline how to create an emergency budget from your basic monthly budget and walk through the example of my family’s budget. What I’ll call an “Emergency Level 1 Budget” is a simple translation from your current budget, removing all the non-essentials. This is one that anticipates a restoration of income in the near future and the family just needs to make it through a brief rocky time with as many reserves intact as possible. An “Emergency Level 2 Budget” is one you would have to transition to if you expect the reduction of income to last on the order of a year or more and requires more evaluation and tiered implementation of the necessary changes. We’ll start with a Level 1 scenario. Step 1: Imagine that your family’s primary income has been lost. You are working to restore it but don’t want to run through your savings too quickly as the situation is uncertain. Take out an up-to-date version of your budget – all your recurring expenses as well as what you typically spend in your variable categories – for reference. Start a new budget outline with a blank slate. 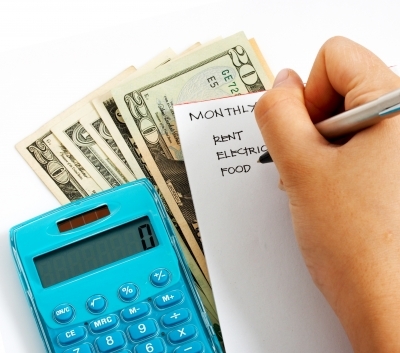 Step 2: Transfer over your very basic expenses for living from your existing budget to your emergency budget. This will include your housing (rent/mortgage, utilities), the amount of money you spend on staple groceries, and the transportation costs that you expect to expend. Dining out should not be included in this group. Keep in mind that your gas costs may decrease or you could consider switching to public transport if that is less expensive than driving in your city. Step 3: Transfer over your recurring contractual expenses. This will include the minimum on any debt payments (student loans, car payments, credit card debt), your cell phones, your contractual entertainment costs (cable/dish TV, Netflix/Hulu+), your car insurance, childcare, and anything else for which you are obligated to make regular payments. Step 4: Think about your saving and giving rates. How will these change in the event of an income loss? If you save or give a percentage of your income, are you going to stick to the original level, switch to the lower percentage, or suspend them until you are back on your feet? Transfer over your first guess; you can play around with different scenarios later. Step 5: Consider if unique financial or lifestyle changes will apply to you. Will your tax liability change appreciably (this will depend on the length of underemployment)? If you are going to be home more, will your utilities go up? Will you have to populate an interviewing wardrobe or spend money on a job search? Can you cut down on or will you have to add to your childcare hours? Could you increase the revenue from your side incomes to slightly compensate? Evaluate where this Level 1 Emergency Budget leaves you. If you lose your family’s primary income, can this budget be funded by the remaining incomes, if any? If it can, congratulations! You can choose to add in a few more luxuries or increase your savings rate. More likely though, you’ll be in the red with this new budget. Use the amount that you anticipate your spending to exceed your income to calculate how long your emergency fund will last through the income loss. 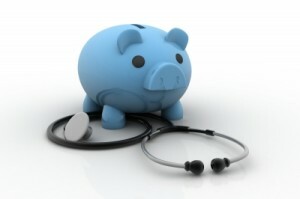 You can also give some thought to how you can adjust to an Emergency Level 2 budget. If your income loss extends for months, it may make sense to not renew or cancel some of your ongoing contracts (particularly of the entertainment/fancy cell phone variety). You could move to a less expensive rental dwelling or take on a roommate if you own your home. It may be possible to renegotiate some of your debt payments given your lower income. If we lost the larger of our two incomes (we have no appreciable side income), we would have $1886 coming in after taxes. We would cut our saving and giving rates on the lower income level to 10% in the event of income loss. I don’t anticipate any other adjustments to be necessary for our situation. With our current emergency fund balance of $1282.70, we could sustain our emergency budget for over 5 months. Before getting to that point we would probably stop saving for retirement, downgrade our apartment and cell phones, and possibly cancel our internet. 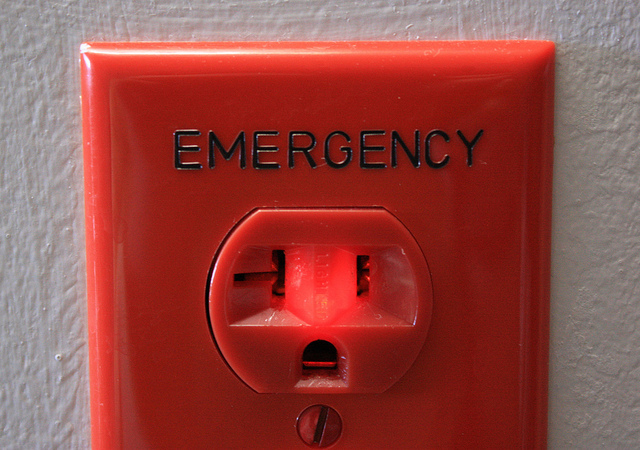 Does your family have a stripped-down emergency budget? Is there anything that I cut that you would keep? 7 Responses to "Emergency Budget Exercise"
When I was laid off back in 2009, I was REALLY thankful that I didn’t have car payments and that my rent was manageable. That experience really showed me that I need to keep fixed expenses as low as possible. You can always eat for less and stop buying clothes, but no one is going to give you a break on your housing payment, loan payments, or car payments. I totally agree and thanks for adding in your experience. Debt is a drag in good times but it can be a killer in hard times. This is a good exercise. Having a plan already could help prevent panic in the case of an emergeny (and save you from having to make difficult financial decisions under pressure). In evaluating how large an emergency fund should be, I would also include enough to pay for health and car insurance deductibles. Hopefully it never happens, but being injured in a car accident and unable to work for a while is not a far-fetched scenario. A person who has only liability insurance on their car may also want to consider setting aside enough to pay cash for a cheap car if theirs breaks down or is totalled. I totally agree that an emergency fund should cover more than the loss of income. Health care is definitely a consideration in a job loss situation; I didn’t think of it because we have a two-income household but certainly that would be necessary for many people. An EF large enough to cover major car repairs or replacement if you choose to carry only liability insurance is close to my heart, as I had two friends recently in that situation. Thanks for your input!